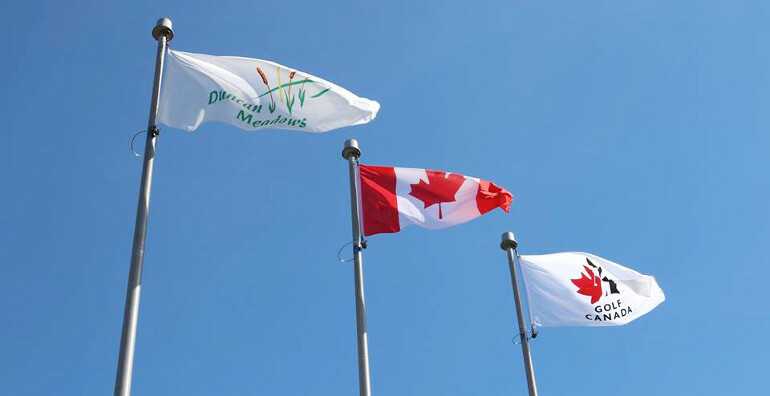 Water hazard relief is this week's rule topic. QUESTION: How do I determine where the ball must be dropped when proceeding under option b in Rule 26-1? Is it along the line of flight the ball took to get to the hazard? ANSWER: No. Under the rules of golf, dropping the ball on the “line of flight” is never an option, however, it is often confused with the concept provided in Rule 26-1b. 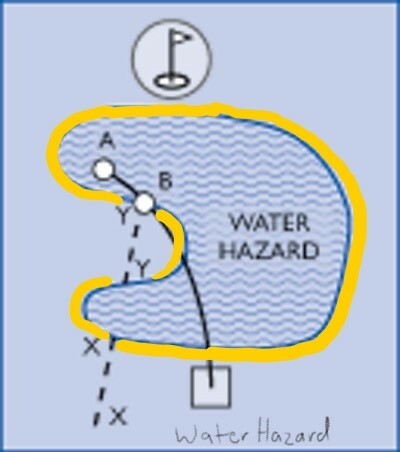 Under Rule 26-1b, when taking relief from a water hazard, a player may drop a ball behind the water hazard, keeping the point at which, the original ball last crossed the margin of the water hazard directly between the hole and the spot on which the ball is dropped (a term of “flag line” has been used to help clarify). In determining this line, the player must first determine where the ball last crossed the margin of the water hazard. Once this point is determined, the player should draw an imaginary line from this point to the hole. The player may then drop the ball anywhere along an extension of this line behind the water hazard (Decision 26-1/1.5). Please refer to point “D” in Decision 26-1/15, for an illustration.